Tom Farrell (5000m), Daryll Nieta (100m), Dina Asher-Smith (200m), Shelayna Oskan-Clarke (800m), Jade Lally (Discus), Chijundu Ujah (100m), Nigel Levine (4x400m Relay), Bianca Williams (4x100m Relay), Margaret Adeoye (4x400m Relay) – The British Championships took place 24-26th June where 5 athletes guaranteed their selection to Rio by having at least 2 results of the qualifying standard, and finishing in the Top 2 in their event. A further 4 athletes have now been selected, bringing the total up to 9 supported athletes. The GLL Sport Foundation is proud to be supporting so many athletes over varying distances and events. 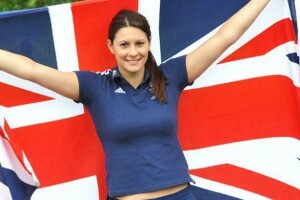 Jade said, “I am personally funding my Olympic bid this year so any help would make a huge difference to me. It would go towards my flights, training camps, accommodation and equipment to name a few. 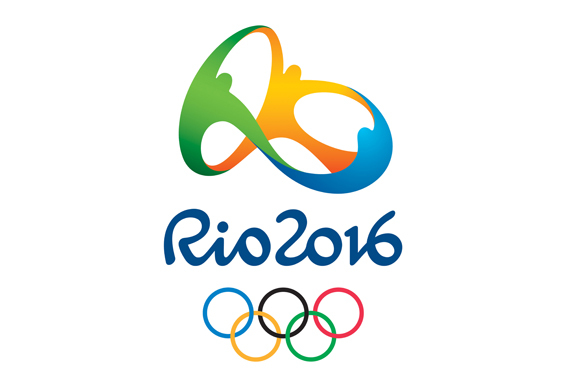 I am on course for making my first Team GB appearance at the Rio Olympics, the award will go to a good place! 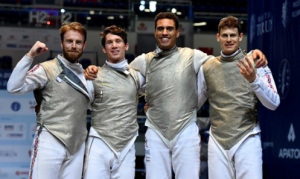 James-Andrew Davis, Marcus Mepstead, Richard Kruse (Fencing – Foil) – three GLL Sport Foundation ambassadors make up the four man Team GB foil team heading out to Rio. James and Richard are experienced fencers who have been to previous Olympics, and Marcus will be having his first taste of a Games. After a great team result at the European Championships winning gold, the team has great confidence going into the Olympics. Aimee Willmott (Swimming) – Rio is Aimee’s second Olympics, she competed at London 2012 and is looking for a medal this time round. 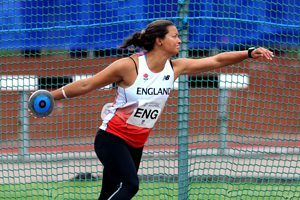 Aimee has won medals at the Commonwealth Games and European Championships. 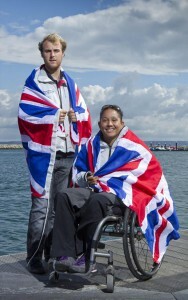 Alexandra Rickham (Para Sailing) – Rio is Alexandra’s third Paralympics, and she came away with a bronze medal in London. A lack of wind on the last day of racing denied Alexandra and her partner Niki Birrell an opportunity to race for silver. Alexandra and partner Niki are looking to go for gold out in Rio. Alexandra stated the GLL Sport Foundation ambassador award would her with the purchase of sails for the 2016 European race season in the lead up to Rio. 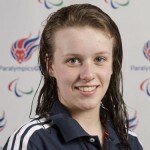 Tully Kearney (Para Swimming) – R io will be Tully’s first Paralympics. Tully broke onto the scene in 2015 when she won six medals at the IPC Swimming World Championships and setting European Records in three events. Injury during the Para Swimming International 2016 curtailed her progress and she missed out on the team for the IPC Swimming European Championships in 2016, but her incredible performances to date has given her selection for the Paralympics out in Rio. Tully is the first ambassador of the Manchester Sport Foundation partnership with the GSF. Amy Marren (Para Swimming) – Amy was ill throughout the 2015 season and has made an amazing comeback to be selected as part of Team GB out in Rio. At only 17 years old, Amy has already broken on to the senior circuit winning international medals. 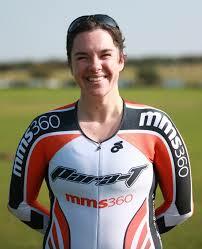 Amy currently holds British records in the 200m Backstroke (S9) and the 800m Freestyle (S9). 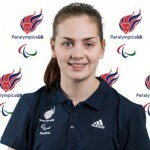 At London 2012, Amy made her Games debut as one of the youngest athletes in ParalympicsGB. 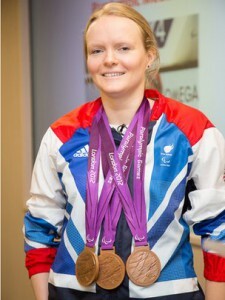 She recorded personal best times in all of her events and qualified for two Paralympic finals. Four years on, we look forward to seeing what Amy can achieve in Rio. 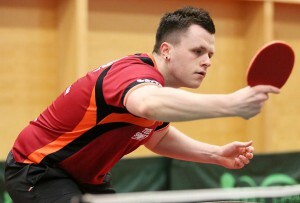 Paul Davies (Para Table Tennis) – London 2012 was Paul’s Paralympic debut where he came away with a bronze medal. 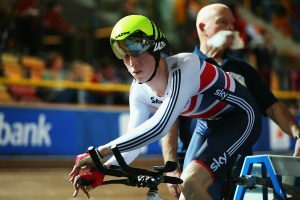 Paul has been injured throughout 2015, but is now fully fit and hoping to win gold this time round out in Rio. Paul said the award helps him to purchase important Table Tennis equipment and helped him on the road to Rio. Paul is supported through the Halo Sport Foundation partnership. 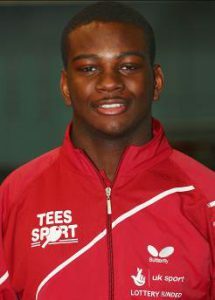 Aaron McKibbin (Para Table Tennis) – Aaron was part of the Great Britain Team at Lon don 2012 and brought home a bronze medal from the men’a class 6-8 team event. To secure his Paralympic selection, Aaron went to the China Open and responded superbly to the pressure beating the Chinese world number two to take gold in the singles and secure his selection. Joy Haizelden (Wheelchair Basketball) – Joy made her major senior debut for Great Britain at the 2014 Women’s World Wheelchair Basketball Championships, assisting the team to their highest ever world championships finish at just 15-years-old. The following year, she played a crucial role in the GB Women’s European Championship campaign – securing the nation a bronze medal and a qualification place for the Rio 2016 Paralympic Games. 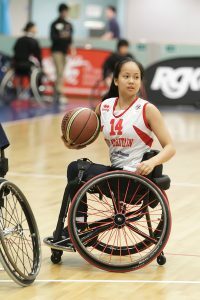 One of the youngest players on the GB team, Joy is nevertheless quickly making her mark on the international stage having represented her country at the U25 European Wheelchair Basketball Championships. She was also part of the team crowned the Women’s 2015 U25 World Champions in Beijing, China. 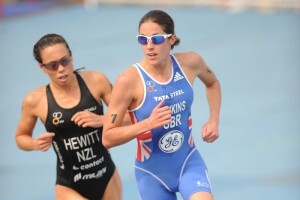 Helen Jenkins (Triathlon) – Helen will be bringing her past Olympic experience from Beijing and London out to Rio. She also won the World Championships in 2008 and 2011. The team of six has been selected and Helen is looking forward to another chance to win a medal. Helen wants to inspire the next generation from her hometown area of Bridgend and is supported by the Halo Sports Foundation. Constantine Louloudis, Scott Durrant, Graeme Thomas, Olivia Carnegie-Brown (Rowing) – Four rowers supported by the GLL S port Foundation have been officially selected for the Team GB squad at the Olympics in Rio. Constantine, is an ambassador for the GLL Sport Foundation and won a bronze medal at the London 2012 Olympics, will be looking to medal once again. He will be part of the men’s four, one of the strongest boats in Team GB. Scott is one of the men’s pairs, Graeme part of the men’s quad, and Olivia part of the women’s eight. Graeme said, “Any monetary support would help me invest in expensive rowing equipment to ensure that I can demonstrate my best performance without any hindrance from old equipment. 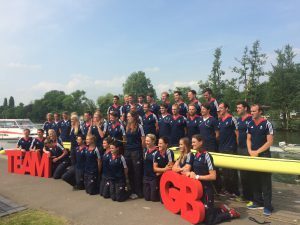 The GLL Sport Foundation has been fantastic so far in my journey and it would be brilliant to go the whole way with their support and win medals for Great Britain.” Rowing is one of Britain’s strongest sports, and we are excited to be supported these four athletes who are heading to the Olympics. 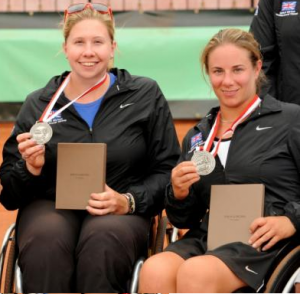 Lucy Shuker, Louise Hunt (Wheelchair Tennis) – Louise has been a GLL Sport Foundation supported athlete for a couple of years now, and Lucy Shuker is new to the programme. 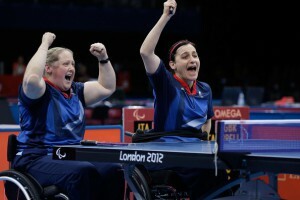 Both athletes have been selected for Rio, which is a new experience for Louise, but Lucy made history at the London 2012 Paralympics by winning Great Britain’s first ever women’s wheelchair tennis medal. Both Louise and Lucy are ranked in the Top 10 in the world and both stand a good chance of coming back with some medals from Rio. Lucy and Louise have both benefited from the support that the GLL Sport Foundation has provided and look forward to seeing how they do at the Paralympics this year. 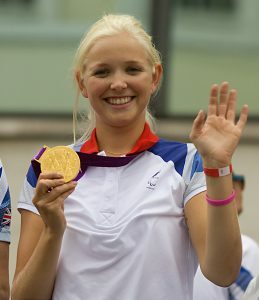 Pamela Relph (Para Rowing) – This will be Pamela’s second P aralympics, after competing and winning a gold at London 2012. Relph was introduced to the sport of rowing in August 2010 by her older sister, who had rowed internationally for Great Britain. Pamela said, “I am very grateful for the support provided to me so far from the GLL Sport Foundation and the use of the facilities near me has been imperative to my training and recovery. 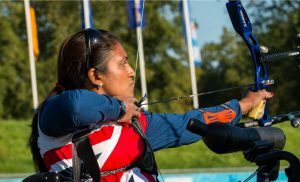 Continued support would mean that I am able to continue to complete my training to the best of my capability.” We look forward to Pamela try and retain a gold medal out in Rio. 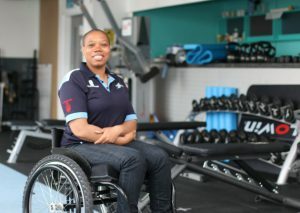 Vanessa Daobry (Para Athletics – Seated Shot Put) – Vanessa has only been participating in seated throws for a year and quickly climbed the national rankings and is currently ranked number one F34 para shot putter in the country. She is an inspiration to the community and in addition to her own training, assists with supporting funding bids and developing others’ athletic careers. This will be Vanessa’s first Paralym pics and we are very excited to see how she fairs against the best in the world. he fastest GB cyclist for this event in his C2 classification. The GLL Sport Foundation has supported Louis for several years now and he really appreciates the support. Carly Tait (Wheelchair Racing) – Carly is relatively new to the sport, gaining interest in wheelchair racing after watching the Paralympic Games in 2012. In 2014, Carly represented Great Britain in the T34 wheel chair sprint at the Diamond League in Hampden Park, Glasgow and at the IPC Grand Prix Final in Birmingham, alongside Paralympic champion Hannah Cockroft. 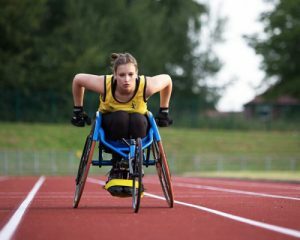 She took part in last year’s Sainsbury’s Anniversary Games at the Olympic Park in Stratford and this year, she has taken a 12-month sabbatical from work – as a digital marketer for the Co-op – to train for Paralympic qualification. This has paid off and Carly has been brought in as a late selection for the Games out in Rio. 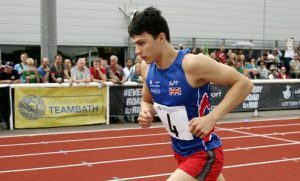 Having played against GB international and GSF athlete Aaron McKibbin in tournaments around England he was called up by the GB team to play a competition in Romania and is now in his third year with the GB Performance squad. Although he just missed out on the team for London 2012 he was selected for the Paralympic Inspiration Programme and so visited both the Paralympic venues and village. Ashley has had a last minute call up for Rio and will finally have a chance to compete for a Paralympic medal. 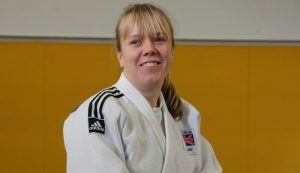 Natalie Greenhough ( Para Judo) – The Crawley judoka will be Paralympics GB’s sole female representative and British Judo are delighted that Natalie has been given the opportunity to compete. At just 22 years old, this is a great chance for Natalie to show the world what she is capable of and put a marker down for Tokyo 2020 also. Speaking of the achievement from Rio, Gymnastics Ireland CEO, Mr Ciaran Gallagher said “Ellis has made history for Gymnastics Ireland by qualifying to the 2016 Rio Olympic Games. 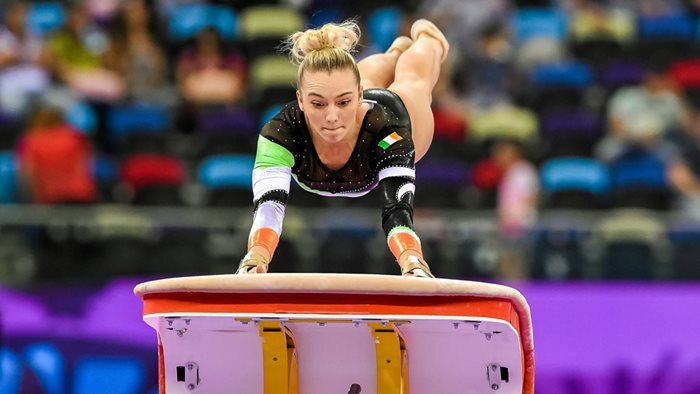 “This is a huge step forward for our women’s programme and in becoming the first Irish female gymnast to qualify to an Olympic Games Ellis’ achievement will serve to inspire to all the young up and coming Irish gymnasts who will want to follow in her footsteps. 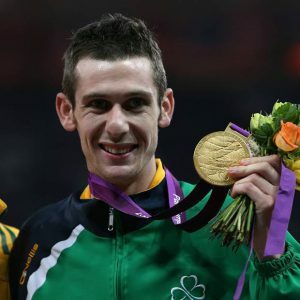 Michael McKillop (Athletics – 1500m) – Ireland’s three-time Paralympic gold medallist Michael McKillop says he is on course to win another title in Rio after suffering “dark days” during two years affected by injury. Michael is on track with training going well in the lead up to the games. He has broken the 800m and 1500m World Record on numerous occasions and could potentially do the same again. Jonny Bell, Michael Watt (Hockey) – It has been an extremely competitive process to select the final Ireland Hockey side, and we are very proud to be supporting two ath letes that made the final cut. 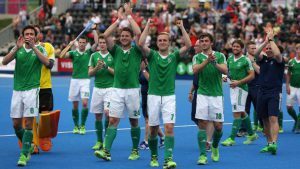 Not only is this the first time an Irish hockey team has qualified for an Olympic Games for more than 100 years; it is the first time that Team Ireland will contest a team sport at an Olympic Games since 1948. A fantastic achievement that will be remembered for years to come. 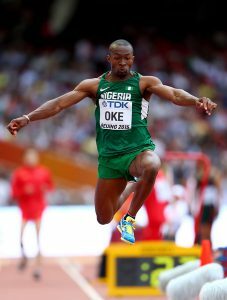 Tosin Oke (Athletics – Triple Jump) – Having previously competed for Great Britain, Tosin has made the transfer to compete for Nigeria in the Triple Jump. Since competing for Nigeria he has won back-to-back African Championships in Athletics titles and the Commonwealth Games championship and is the current All-Africa Games Champion. At the 2012 Summer Olympics Tosin finished seventh in the triple jump final, the best Nigerian result of the Games. Ekaterina Avramova (Swimming) – having swum at London 2012 for Bulgaria, Ekaterina has made the transition to compete for Turkey out in Rio. She competes in the 100m and 200m backstroke in addition to 100m freestyle. Although she didn ‘t reach the semi finals in London, she is determined to do better this time round and push herself to be the best. Updates of selection will be posted when National Governing Bodies announce their squads.